This morning two days in to the summer break. I took a long soak in a rosemary essential oil bath. Did my eye yoga, I am hoping to improve my sight over the summer. Had a glass of filtered water, my yoga teacher is really advocating water therapy, 2 liters of pure water a day for my weight of 130 lbs. Then on to the hob goes my quinoa porridge to simmer for 25 mins while I gather some blackcurrants for garnish. The blackcurrants are full on the bush in my garden, I touch them and they fall into my hand. 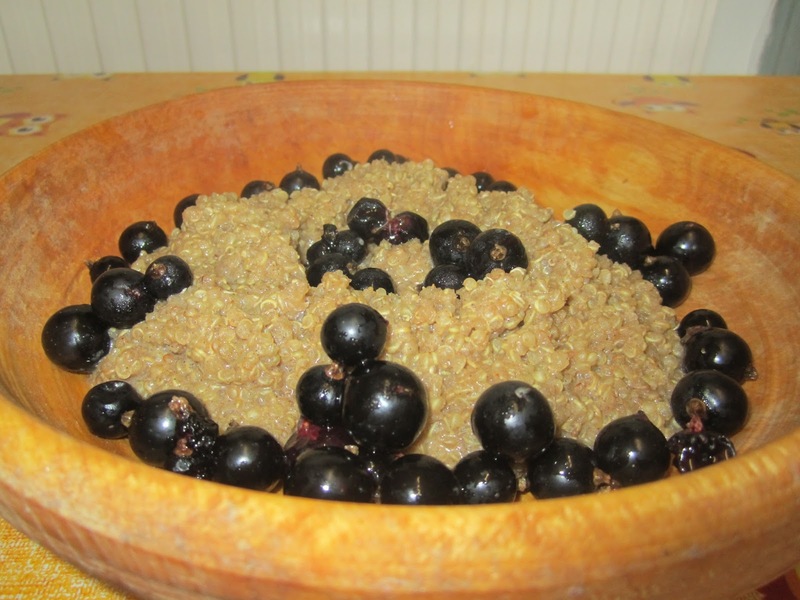 I make the porridge and put it on the table in a wooden bowl and sprinkle with the lush blackcurrants, the warmth of the grain softens the currant skins and some juice leaks out, it is so scrummy even just to look at. I make a pot of nettle leaf tea and hub and I begin our day. Not rushing to meet time schedules but in celebration of a new day. 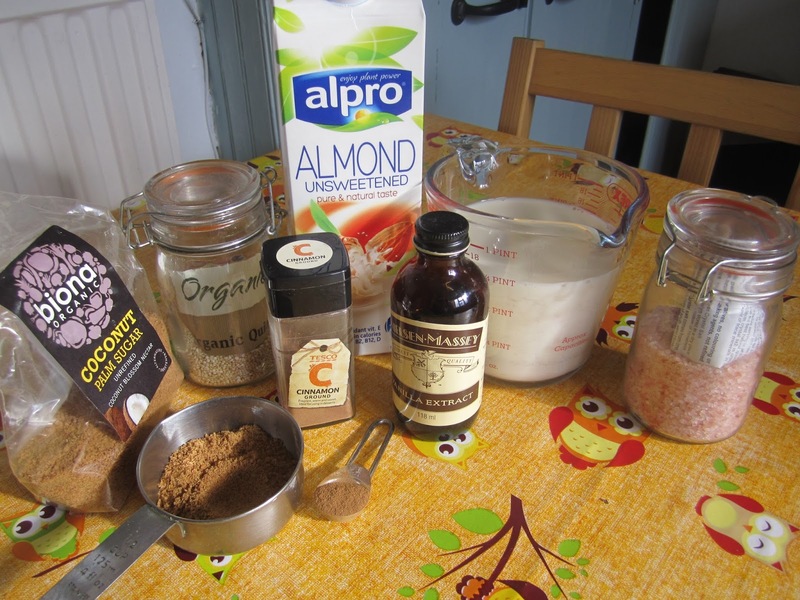 Heat the saucepan on a medium heat and add the quinoa and the cinnamon, toast lightly for three minutes, stirring with a wooden spoon. Stir in the coconut sugar and add pinch of salt. Bring to a gradual boil, leave uncovered, then turn down to leave on a simmer for 15-20 minutes or until the all liquid has absorbed and the grain is soft and fluffy. Add more milk or water if mix becomes too gloupy too soon. Stir often, pour into serving dish. Optional: add berries of choice.